5 Acres & A Dream: Solar Power Baby Steps: Room Fan! 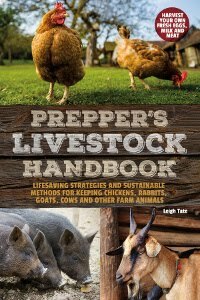 I have been very inspired since reading and reviewing Prepper's Total Grid Failure Handbook. Except for our stand-alone solar devices (we have a solar charger for our electric fence, a solar-powered attic fan, a solar barn light, a solar flash light, and a solar car battery recharger) I have virtually zero experience with generating solar energy. Most books and articles on the subject get way over my head too quickly, so that I have no clue as to how to apply the information. As a hands-on learner, I needed the simplest project I could manage in order to get an experiential grasp on the basics. After reading the Grid Failure Handbook, I began to see ways I could expand our use of solar electric power, especially in the area of preparedness. For example, it's not uncommon for us to lose electricity during lightning storms, ice storms, or hurricane aftermath. Most of us are familiar with rechargeable batteries. We recharge them by putting the batteries into a little holding device and plugging that into the wall. Then we pay the electric company to recharge the batteries for us. Solar powered devices may or may not have a battery (our attic fan, for example, only works when sunlight hits its PV panel), but the barn light, fence charger, and flashlight each contain their own small battery for after dark use. My new project was going to use the sun to charge a 12-volt car-type battery that I could use with the 12-volt device of my choice. There are a lot of 12-volt appliances out there. Many common items are wired to run off of car batteries for RVs, boats, camping, tailgate parties, over-the-road truck hauling, etc. Any appliance you use at home probably has a 12-volt version out there. As a truck driver, Dan already has a small 12-volt oven (looks like an old-fashioned lunch box), clip-on fan, cooler, 1.5-quart slow cooker, and a DVD player. All of them use the same kind of electricity as the battery stores (DC or direct current) and simply plug into the vehicle's cigarette lighter. In choosing an appliance, I thought about our preparedness needs. I can cook and heat without electricity, wash clothes without it if I need to; even lighting isn't the greatest need. If we lost power during summer, however, the thing we'd miss most is our fans. Since we've stopped using air conditioning, we use our fans a lot! They help keep us cool, but also, by circulating air in the house, they help prevent mildew and mold. Because of our humidity, that's important! After searching around on the internet, I found a 12-volt room fan. 12-volt fan, 3 speeds, 920 CFM. To attach it directly to the battery I got this eyelet terminal battery clamp with a 12-volt socket. You can also get them with alligator clips. The battery is a deep cycle battery. 12-volt AGM deep cycle battery. This is not the same kind of battery one typically puts in a car. In a vehicle, a starting (cranking) battery is used. It has to supply enough juice to get an engine started, i.e., rotate the crankshaft. It can bear a high load for a short duration. Something like my fan, however, doesn't take much energy for start-up but must draw continually to keep running. A deep cycle battery can bear a light load for a long time, so it is better suited for these kinds of applications. Another note about this battery is that it is a "maintenance free," aka sealed battery. It has a shorter lifespan that the flooded cell batteries you have to add distilled water to, but also, there's minimal off-gassing and no chance of spillage. For those reasons I felt it was the best choice for indoor use. To monitor the battery, I got a small digital voltmeter. I don't have the best camera so I couldn't get a good shot! When it gets to between 12.4 and 12.1, then I'll know it's time to recharge the battery. In general, frequent top-ups without letting the voltage get too low will increase the life of the battery. The set-up is super simple. The clamp and volt meter attach directly to the battery (red on red and black on black). The fan plugs into the cord's 12-volt socket. I was actually impressed with the breeze the fan creates, even on low! Since the amount of electricity being delivered (12 volts) is the same as is required to run the fan (12 volts) nothing more is required. If I want to power a typical household device (which uses alternating current or AC), then that's another story (and another project). As long as I use 12-volt devices with this set-up, then I'm good to go. So what about recharging the battery? This is where the car battery recharger comes in. We bought it not too long ago from Northern Tool: a 20-watt solar panel with a 12 Amp charge controller. the battery, i.e., prevent it from being overcharged or drained. The set-up: solar panel > charge controller > battery. Now we'll see how long my fan can run on the one battery, how often I need to recharge it, and how long that takes. I can see the need for a second battery for a quick switch when one needs recharging. We're still a long way from energy self-sufficiency, but in terms of preparedness it's a good step. Next I'll tackle something a bit more complicated. Brilliant, I'd love to have a little dabble in solar. I think I have mentioned this before but I have a friend in Arkansas who lives completely off the grid. With a couple solar panels and a row of deep cycle batteries, they pretty much run their entire house and small shop. It's not a big step from where you already are. Very smart Leigh :) Lots of those types of books and instructions go over my head too and it kind of turns me off learning. A while back I was planning a 5-month road trip across Canada. I was going to buy an old SUV and convert it into a little camper. One of the things I looked into a lot were those deep cycle batteries and solar panels to charge them. I thought this would work well for a back up power plan for our new home...at first, then maybe for all the power needs if we can get it all set up the right way. I think in our climate, we could do without a/c and the fans...but the fridge is a different story. That would be my appliance of choice in the summer. In the winter, we can drop everything into the snow! :) But then in the winter, it would be heat that would be top priority! Tania, thanks! It's been interesting and fun. Ed, yes, I remember your mentioning those folks. Wasn't there a chance you were going to buy their property or some in the vicinity? I'm not sure if we'll ever get completely off the grid or not. We'd like to, but there are a number of obstacles, with money (or lack of) at the top of the list, LOL. Rain, you need to get a copy of that book. The authors put the information within the realm of doable. And I so agree about refrigeration. In fact, I'm just getting started on working out a solar power back up system for our fridge and freezer. That will be a bigger project, so it will be slower going, but it's the next most important thing on our list of "if the lights go out." That fan seems to be made by one of the companies that makes vent fans for RVs. We've had Fan-Tastic fans in ours and they worked great. Unfortunately, they only operated when on land power. Nice fan. My fan uses batteries. Which is why I like to buy the rechargeable type.That I plug into the charger that is plugged into the outlet to charge it with electricity that my solar unit generates . It almost seems laughable the change of events for the big solar setup charging the smaller items. That is why I love the barn lights you and I have. Having that unit come with it's own panel is worth its weight in gold! I will look into the one you have as I feel it makes more sense. And eventually the batteries will not preform as well when charging. I learned a lot about solar just from watching the barn light how the panel responded to location and how long the charge lasted. It actually gave me an easier way to understand solar workings than the 4 inch thick "bible" that came with the unit the first owner/builder installed. Dawn, that's been me too. Yet for a simple concept, it's amazingly complicated. That's why I need baby steps! Sue, I'm not familiar with RVs, but you're probably right about the company. I'm curious about your statement, "they only operated when on land power." Do you mean the fan didn't run when the vehicle was on? Dan's little oven and crock pot work better when the vehicle is operating and it's battery is being recharged. Goatldi, those small batteries, even the rechargeable ones, don't seem to last very long, do they? I'm learning about batteries though, too. and why they poop out. But you probably have to do battery maintenance for your solar energy system, so you know what I mean. In regards to your question above, they talk about selling that property someday so it might come up. Although I like their setup, the years have done a number on their house and it needs a lot of work put into it. Ed, yes, that's a huge consideration. It would depend on how interested you in the property and in doing the repairs, plus selling price. For someone who likes and is able to fix up a fixer-upper, it could be a great buy. On the other hand, sometimes our lives dictate other priorities. I suppose you'll have a good idea what your answer will be if and when they ever sell. Looking forward to your report on how long the fan runs before the battery needs recharging. We live in Alabama and the humidity in summer is terrible, I have seen my electric bill steadily climb these last few months, and would love to use alternative cooling methods that do not use the grid. 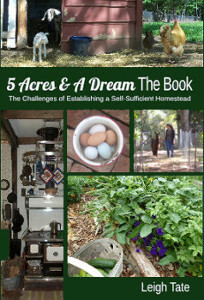 Like you, we can not afford to go off grid, but search for ways we can be self sufficient. Helen, even with all our upgraded insulation and windows, we still need to keep air circulating to try and be comfortable. One thing about battery longevity, is it's rating in amp-hours. This doesn't exactly translate into a predictable amount of time, but it's a good means of comparing batteries. Mine is only 35 amp hrs, so it won't last as long as one rated 100 amp hours or 200 amp hours. Of course the greater the amp hours, the greater the cost! Thanks for the recommendations on 12v appliances (I didn't realize there were such things!) and especially the fan. We are off-grid at our cabin in Cape Breton (3 solar panels, 1 battery and a generator), and although we thought the summers would be cooler, we're in a pasture and recent weather has been hot. Having a fan would make sleeping a lot more comfortable! I'll be interested to hear your analysis of power used / recharging frequency. Rhonda, the 12-volt appliances are great for vacation applications! And the fan is worth every penny. But if I had it to do again I would get a larger capacity battery, i.e. one with more amp hours. Mine only has 35, which means I'll have to recharge sooner than a larger capacity one. Great idea!!! Solar is the way to go. Start out slow, and gradually build upon your plan. We're intrigued and have this as a goal for the future. Who knows, maybe you can sell your power back to the electric company?? Sandy, thanks! Slow is the way to go for me. :) A grid-tied system (with it's ability to sell electricity back to the power company), though, is most likely out of the question. For one thing, they are more expensive to install. And after looking at our utility company's contract for grid-tied solar customers (hidden away and difficult to find on their website), I think they've pretty much made sure that very little if any can be sold back. One of their stipulations is that the system must be limited in size to no more than 90% of the customer's current electrical usage. That's a pretty big constraint for folks like us who have worked hard to cut back on their consumption. They also require that solar powered homeowners carry an extra $100,000 worth of insurance, in case the homeowner's solar damages the utility company in any way. Then too, they are allowed to come and inspect anything and everything whenever they wish, "with reasonable notice." So, not at all an attractive arrangement.